FURTHER to our story last week on the work being done to maintain the Tea Gardens Emergency Helicopter pad in Spinifex Avenue. 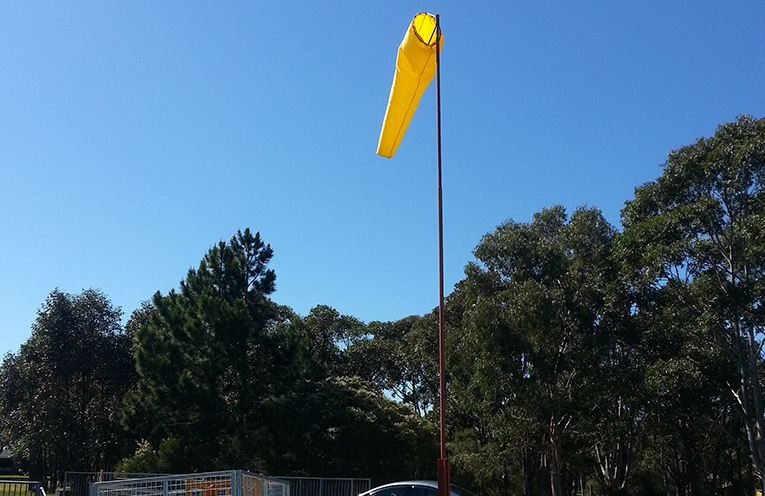 Local John Sells has told News Of The Area, the backstory behind the new yellow sock which flies proudly over the site. “The sock was then given to Grange resident Mary Cooper who then passed it on to me,” John said. Enter the help of local business owner ‘Lofty’ from Lofty cranes. John and Lofty getting together a few weeks back to replace the old sock with the new. With the new sock and grounds work carried out by Rotary, mowing and repainting, the vital Tea Gardens helipad is looking spick and span. 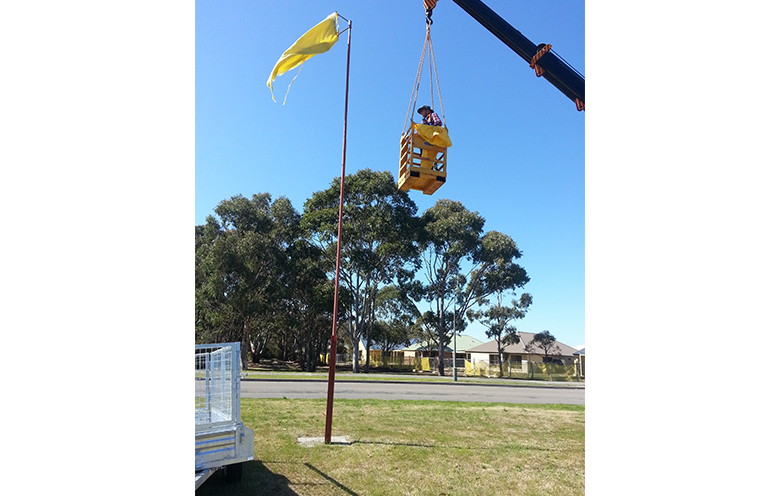 TEA GARDENS HELIPAD: Lofty Cranes installs new sock.